The following Onix gear is recommended and available for your demo or purchase. If interested in trying out some paddles contact Bob Haskin at lwr.pickleball@gmail.com. 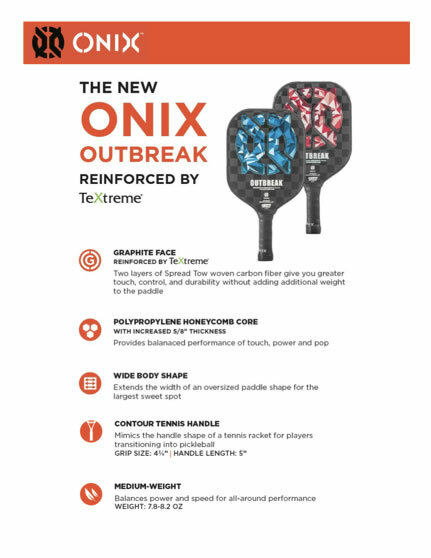 All paddles come with 2 free Onix Pure 2 outdoor balls. The full line of Onix merchandise is available upon request. Onix Fuse G2 outdoor balls 3 for $10. 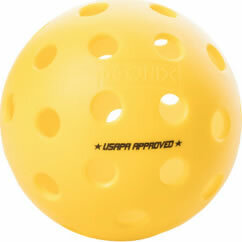 USAPA Tournament Approved and long-lasting. 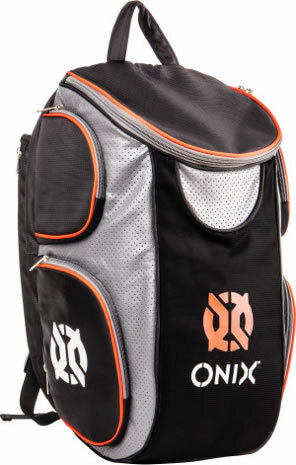 Show up to the court with everything you need with the ONIX Pickleball Backpack. The backpack is designed to carry pickleball paddles, balls, apparel, and water bottles in five zippered storage areas to keep this equipment safe and secure during travel. Includes your name embroidered on the top flap, so cool! Plan your attack with the Onix Stryker 4. 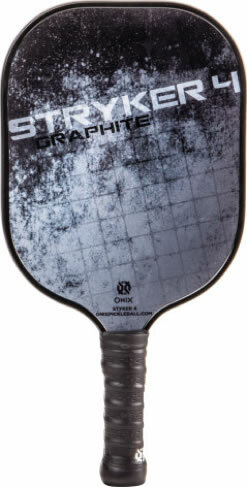 This graphite pickleball paddle gives its player the advantage by creating the perfect balance of both touch and power. Weight: 6.9 - 7.4 oz. The Onix Z5 Graphite is the most popular paddle in the Onix line because of its outstanding touch and ball control while still delivering concentrated power in a medium-weight design for all-around performance. Weight: 7.5 - 8.2 oz. Explore new possibilities with precision and accuracy in every shot. 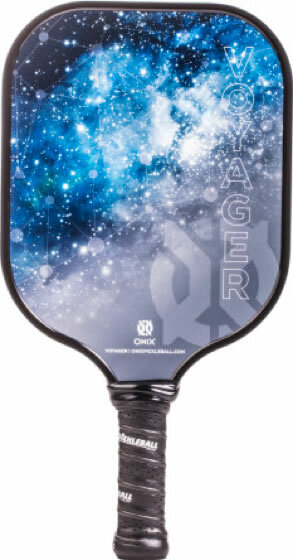 The Onix Voyager pickleball paddle's precision cut polypropylene core and premium-coated graphite face are the perfect combination for creating incredible touch. This calculated construction allows players to put the perfect spin and torque on the ball play after play. Inspired by the ONIX Voyager Pickleball Paddle, the all-new Voyager Pro takes control to unprecedented levels. The premium-coated graphite face and the precision-cut polypropylene retain the touch of the original Voyager, but the thicker core material increases the control for the shots. By not increasing the weight, the paddle generates impressive speed and power for baseline shots. The Wide Body paddle offers the largest sweet spot for better touch. This calculated construction allows players to put the perfect spin and torque on the ball play after play.